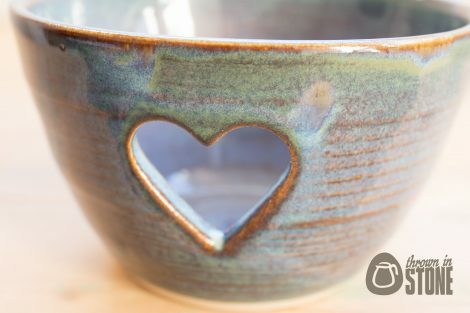 This tea light holder was thrown on my potters wheel using strong white stoneware clay. 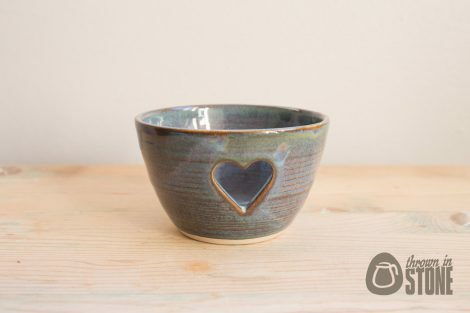 A heart is cut out on one side to allow the pretty light from the candle to show through. 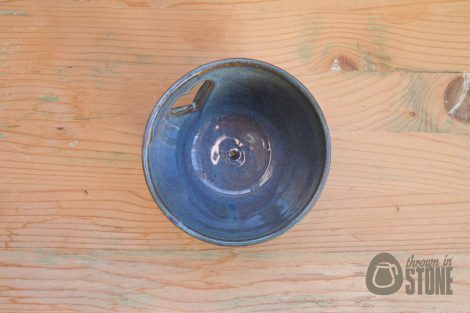 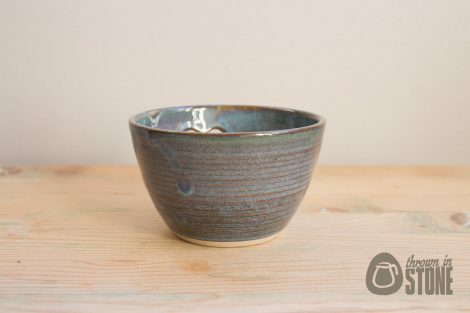 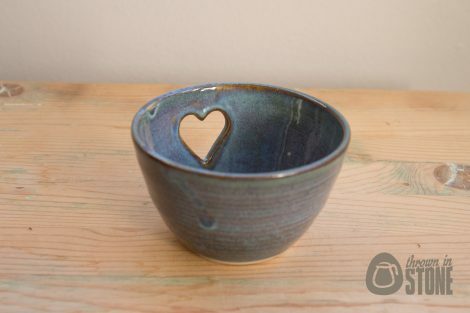 Finished in this wonderful denim blue glaze which shows a gorgeous tan colour at the edges.